CLIFF Bennett and the Rebel Rousers have musical heritage galore – they were the first London band to be signed by Beatles manager Brian Epstein and hit the charts in 1966 with Got To Get You Into My Life, a song written for them by John Lennon and Paul McCartney. 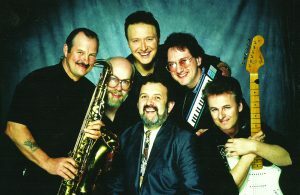 Their early line-up, which trailblazed British soul, also included Chas Hodges and Dave Peacock (later Chas ‘n’ Dave) and other hits included One Way Love, I’ll Take You Home and I’ll Be There. Nowadays Cliff’s six-piece band still features original members Geoff Nichols on drums and Lars Lundquist on lead guitar and they’re at Ripley Rocks on Saturday (14 July).